1. 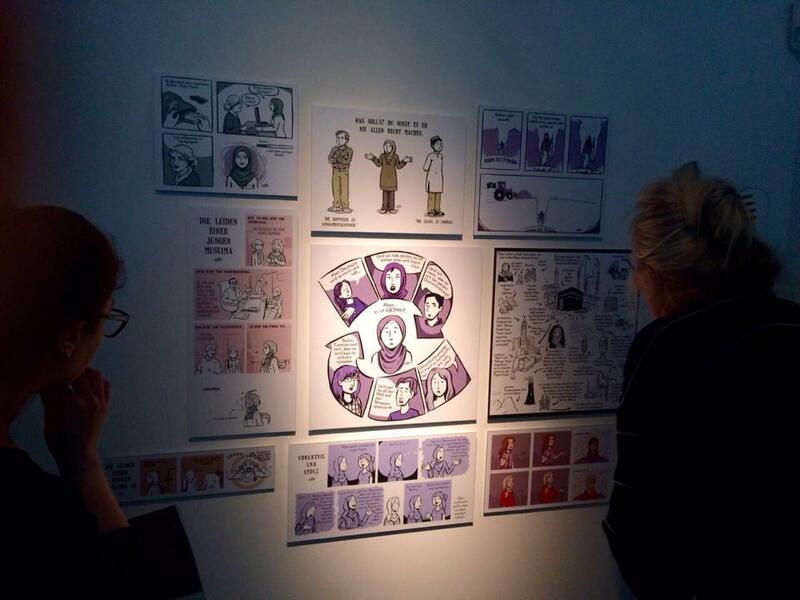 Seeing my works in the Museum of Arts and Crafts in Hamburg was just surreal. They are going to stay there for at least two years! 2. A few days later, I had the pleasure to visit Zurich. 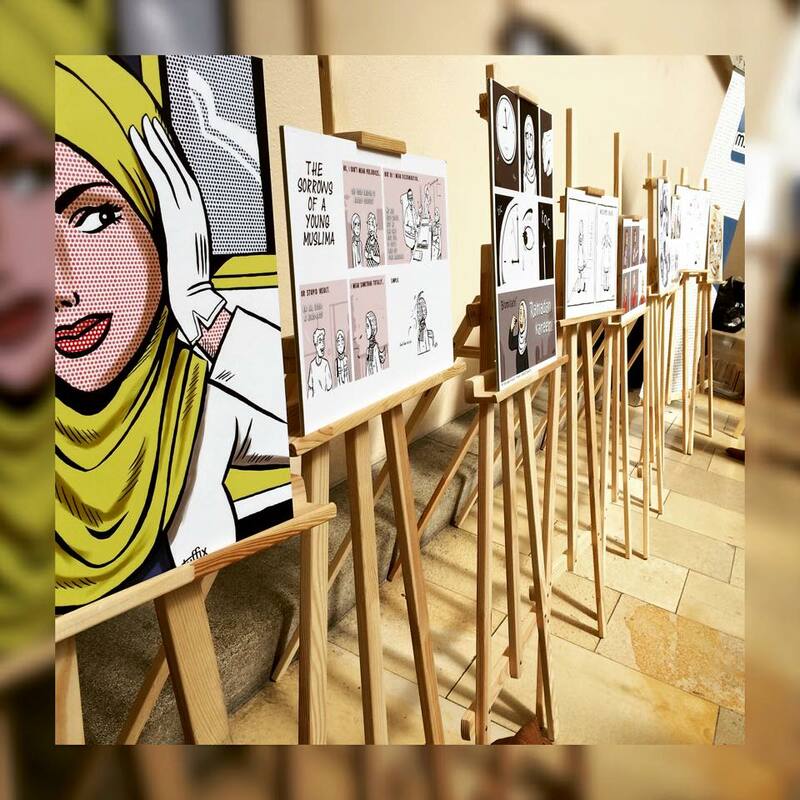 My works were exhibited at the “Islam week”, an event organised by the MSAZ (Muslim Students Association Zurich). 3. Having my works being exhibited in Vienna during the final event of the project “Sichtwechsel”. Too bad, I could not join myself. 4. I was invited by the B.I.S. to talk about “Comics and cartoons – between pop culture, propaganda and political activism” at the University of Darmstadt. I really enjoyed it! 5. Currently, my works are exhibtied in the “Haus der Kulturen” of Osterholz-Scharmbeck until 6th June, on the occasion the international Family Day!